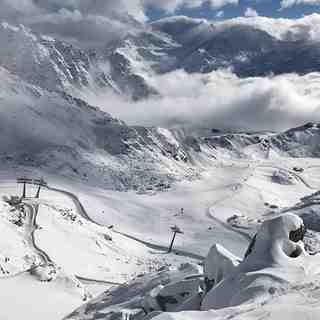 Is it snowing in Verbier ?Thank you! 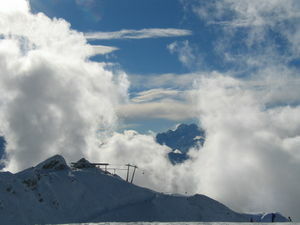 Verbier is Switzerland's number one resort with great skiing and snow-boarding. 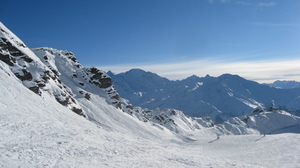 The terrain is fantastic, the views superb and the snow reliable. Unfortunately, Verbier is popular and the queues can reflect this. However, due to regular investments in the lift system, long lift queues occur only on peak holiday periods and only on the two Tortin lifts. Verbier caters for all abilities but experts will love the off-piste that is straight out of a magazine. Too good to be true? Well, Verbier is expensive and snobby to the extreme. There are ways to cut costs (a nice youth hostel in the valley if you can stand the commute) otherwise expect to pay through the nose for pretty much everything! There are plenty of places to eat and drink if you have the money, it is a party-town as well. As you will see from my previous posts down the years........me and the lads are heading back again to Verbs on Feb 24th '18. Still enjoying it, still "Avin it Larry" on the slopes and in the bars. Can't wait, even after what is now our 25th time to this wonderful place! 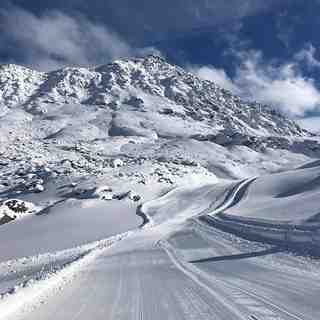 See you in the Farinet or on those slopes :-) (again)!! Wow, can't believe I wrote the below 7 years ago now and it can still be found on the site reviews. Since my last post here in 2006, the lads and I have been back to Verbier almost every year and are visiting again on 23rd Feb 2013 for the yearly bash. Let me say I just cannot wait, Verbier with its superb slopes and equally superb apres/nightlife just hits the spot like nowhere else. What a place, what a buzz. 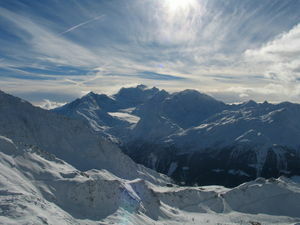 Look out Verbier here we come (again)!! I've read all these reviews and believe me the people who slate the resort obviously are too stuck up and don't know how to have a good time on ski/board holiday. Me and my mates are going back (for the 9th time on Feb 25 '06) and we cannot wait. It is without doubt the best resort for everything....skiing & boarding, off-piste, apres, nightlife etc, etc that we've ever been too. Skied for 22 years and for the past 6 years, boarding, and I can honestly say I've been most places, Zermatt, Whistler, Saas Fee, Chamonix, Meribel, Mayrhoffen etc, etc and no where even comes close to Verbier. I cannot rate it highly enough and is the only place I've been back to more than once. Do not hesitate in taking your hols there if you're young (I'm 35 now though and still love it) and are looking for a great time both on the slopes and into the early hours! !